When one buys any kind of product, they would expect it to be truthful to its promise. Both in terms of quality and quantity. However, we all know that adverts make anything seem like a bargain, even when reality is far from that. We often come across small items that are wrapped in horrendous amounts of packaging, thus making them look bigger. It is common knowledge that whenever people feel like they get more for their money, they will spend more easily. However, when they purchase the product, reality kicks in. There are several items that fall into this category, crisps, bonbons, biscuits, just to name a few. There is only that much one can take, right? Sameline Alce and Desiré Nugent would certainly agree. They came across half-filled bags of crisp time after time. Up till the point they said enough is enough and they started a lawsuit against Wise Foods. The basic claim was that the company is misleading its consumers into believing they are getting more for their money. However, that’s not entirely true. The bigger bag might be more appealing to the eye, creating an optical illusion. The amount is the same as is written on the bag. Talking about the saying ‘don’t judge a book by its cover’ and all that. Still, the complaint clearly states that it’s still a business practice to drive sales. “Even if Defendant’s net weight disclosures are accurate, such does not eliminate this basic deception”. Of course, this also implies that people don’t always check the small print. Which is in this case the actual weight, as opposed to what we perceive as a ‘bigger bag of crisps’. The question is simple. Is it the company’s fault that people don’t double check what they buy, assuming what looks bigger must be bigger? They do exploit this fact, but are they the only ones to blame? Let’s ask the cards to see what this story teaches us. We would love to hear your opinion on the topic, too. Look deep within to find areas that might be lacking balance. There is a need to distance yourself from material things and focus on spirituality. The real question isn’t whether the company deceived them or not but rather, why do they see it that way? This card suggests that there is a deeper dissatisfaction behind these claims. 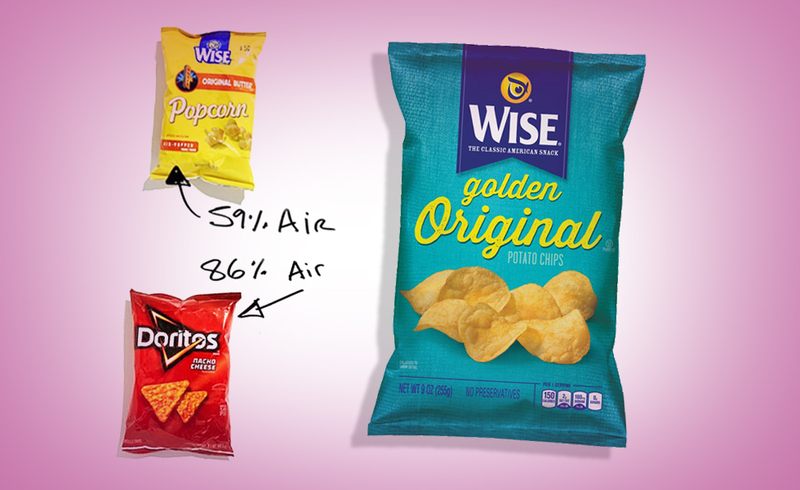 Are we sure our problem is with a bag of crisp that’s half-full? Or is it a general dissatisfaction with life, it not being as it seemed at first? Studying one’s own intentions and motives is crucial here. Ten of Swords: The ability to let go of something painful that happened. Again, not necessarily talking about the deception represented by the bag of crisp. Moving on with one’s life might be the only way. Previous ArticleAmazon refunds purchases made by kidsNext ArticleWhat was found in this Walmart salad will shock you. Men and Women – Who Can Communicate Best?